Checked out this new place (to me) in Cleveland Park (a DC neighborhood, if you’re not from around here) last night and it was quite nice! 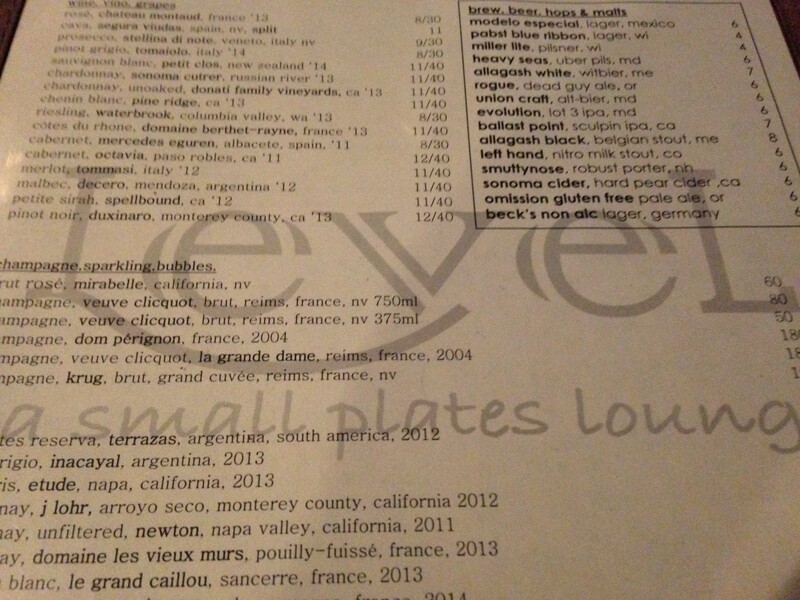 From cocktails to wine to menu, you can’t get bored. The name — Ripple, hence the name of the post. Side note, there are quite a few meanings of Ripple Effect. Check them out of you want some good conversations pieces to either draw people in or get them away during upcoming holiday parties. They have quite the cocktail, wine and beer selection and after watching the bartender add some type of liquid to a glass from ‘something’ that looked like it could have been a funky whipped cream container, I come to find out they make their own juices and soda and have these cool, funky pressurized, carbonated container, vessel things. Good terminology on my side, right? The key point was that I had to try something. 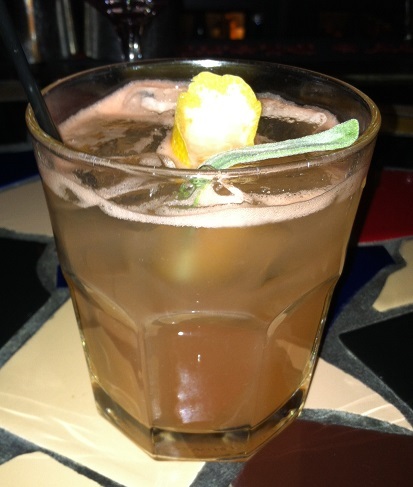 After some debate, I opted for the Herbivores Delight — chamomile vodka, grapefruit-thyme soda. The sage leaf on top brought it all in! Now, jumping forward awhile, while the bartender was prepping that, the folks next to me were trying some wine. They had a taste so I had to inquire. I had a sip as well. That was my pre-planned round 2! When I see wines I’ve not tasted, bring it on. 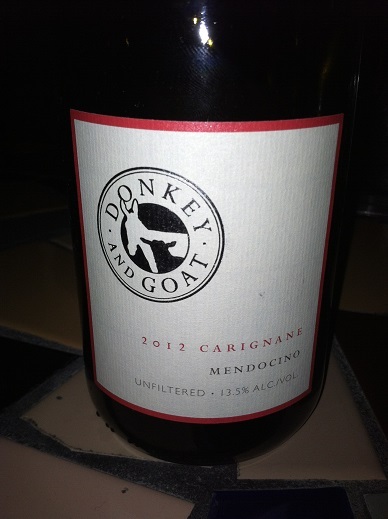 I have now added to my shopping list Donkey and Goat 2012 Carignane from Mendocino. Of course when you go to the website you find it’s Limited Edition, but hey, it’s just new a new winery to explore! 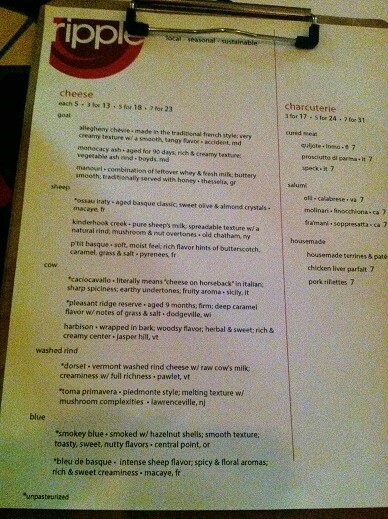 Food-wise, for some reason I flipped to the cheese menu and saw they offer sheep’s milk cheese, aka lactose free! Opted for the ossau iraty. 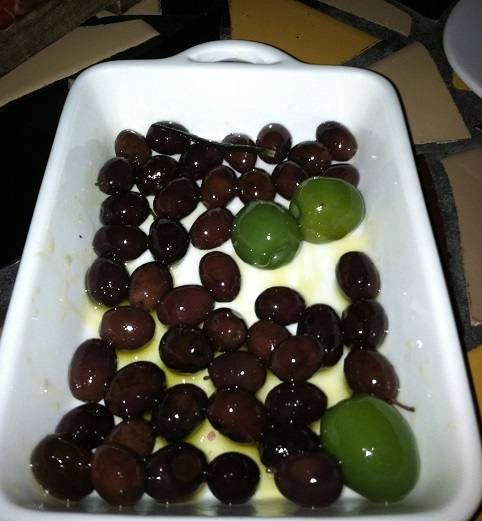 Also ordered some prosicutto and olives. 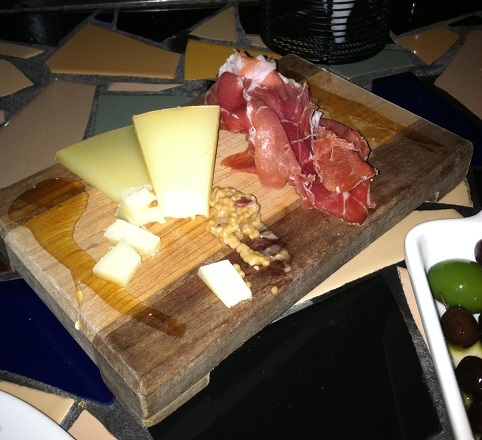 They serve the cheese and meat on a nice board and complement it with house-made mustard and honey. 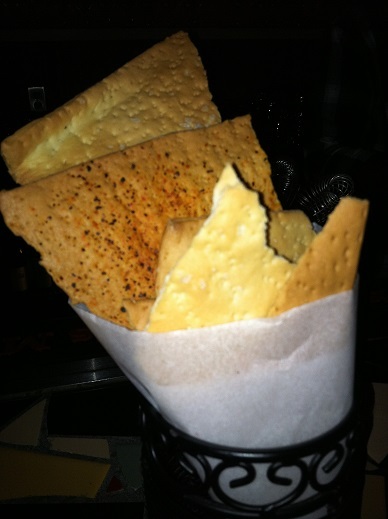 Then, they throw their bread crisps in there. Ahhh….heaven. 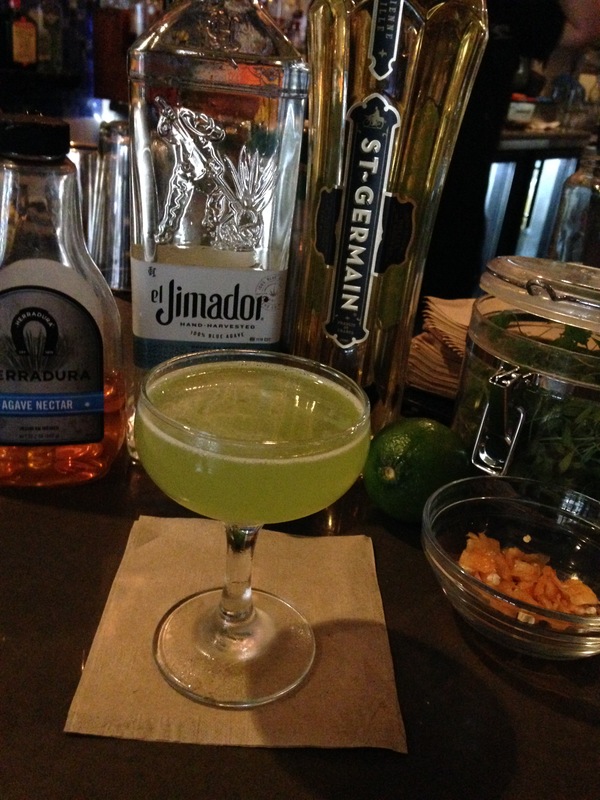 So, if you’re in DC, check this place out. And this was just part of the menu. So much more to explore!